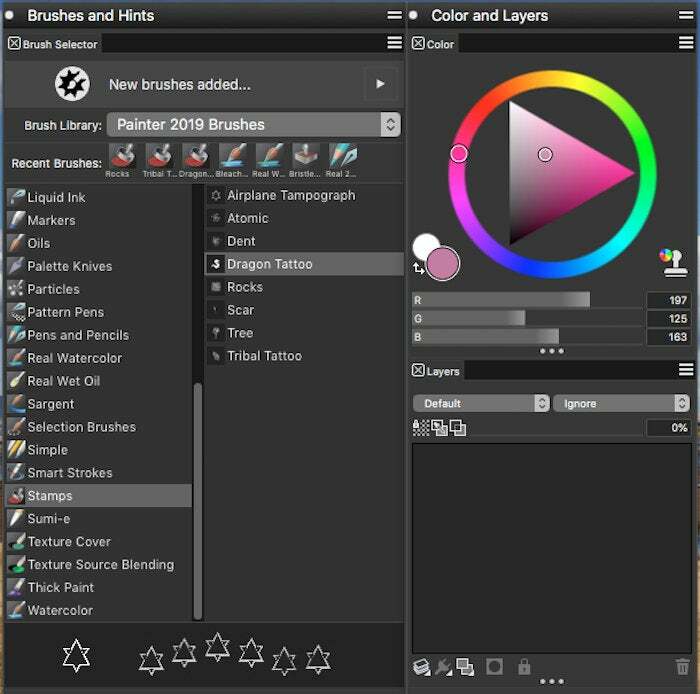 If performance or usability are issues for your workflow, the new Painter will likely be worth the price to ease the creation process. 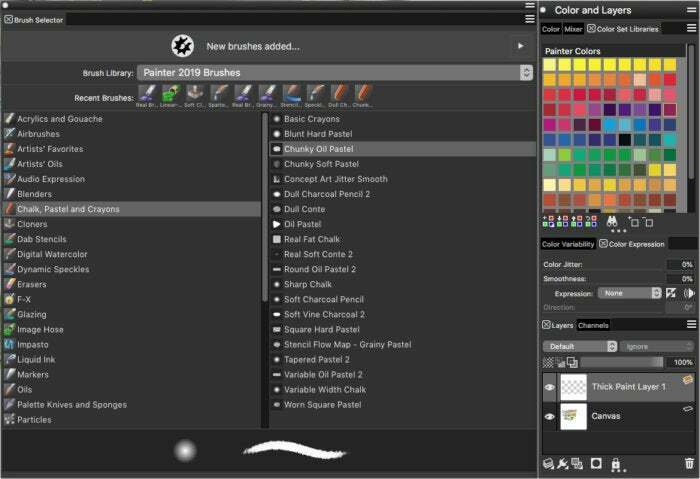 Compared with last year's upgrade, which showcased complex new brush and texture technologies, Corel's aim with Painter 2019 is more modest, but still solid. If you're using an older computer, you may or may not benefit from the improved performance, but you can still optimize the app in the preferences by setting a separate scratch disk, lowering the number of undos, using up to 80 percent of memory, and setting the proper number of cores. 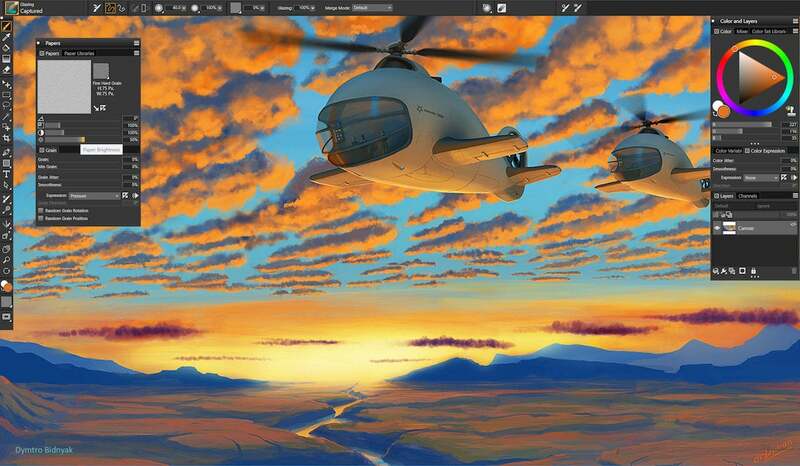 Even on my older 2013 MacBook Air, most conventional canvas operations were snappy. Despite all that extra power, the app's startup and shutdown still seemed surprisingly sluggish. Brushes are the heart and soul of Corel Painter and there are several dozen new ones in the 2019 version. 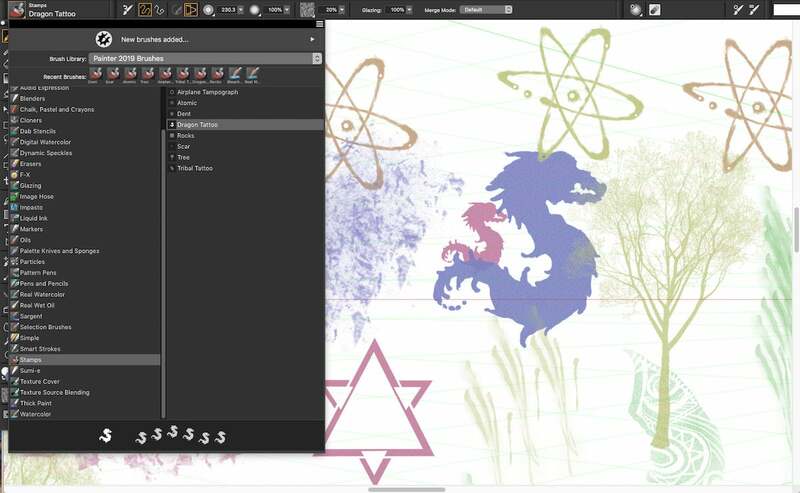 A new Stamp category--for one-click textures and shapes--debuts for the first time. They provide a convenient way for artists and designers to add depth and personality to paintings and commercial projects with shapes like trees, dragons, atomic symbols, rocks, tribal tattoos, and more. Unlike most brush strokes, stamps are generally applied with a tap of the pen or a mouse. 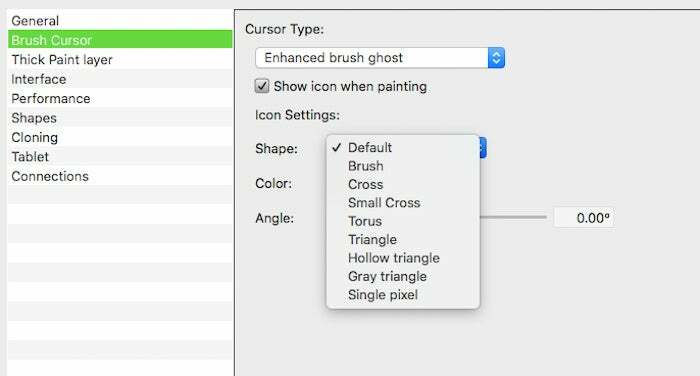 Painter's Enhanced Brush Ghost, which displays the brush diameter on canvas, lets you accurately track the size of your strokes. 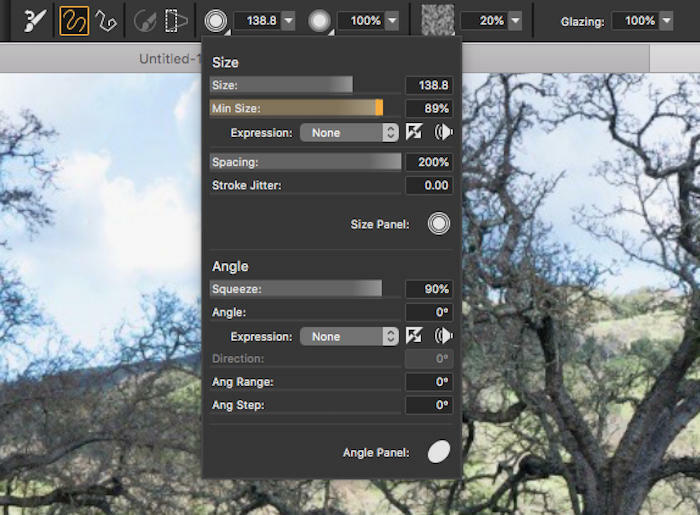 At first displaying an outline of the brush diameter, it turns into an icon as you start to paint, letting you track the exact location of your mouse or pen. 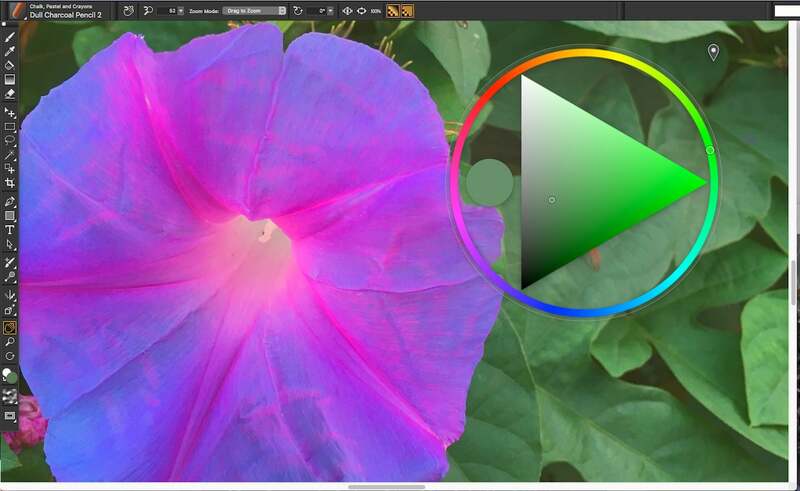 You can now customize the icon by shape, color, and angle. 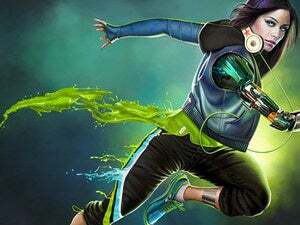 This story, "Corel Painter 2019 review: Corel gets back to basics with an interface- and performance-centric upgrade" was originally published by Macworld.